Flour: Production, Varieties and Nutrition is divided into fifteen chapters. 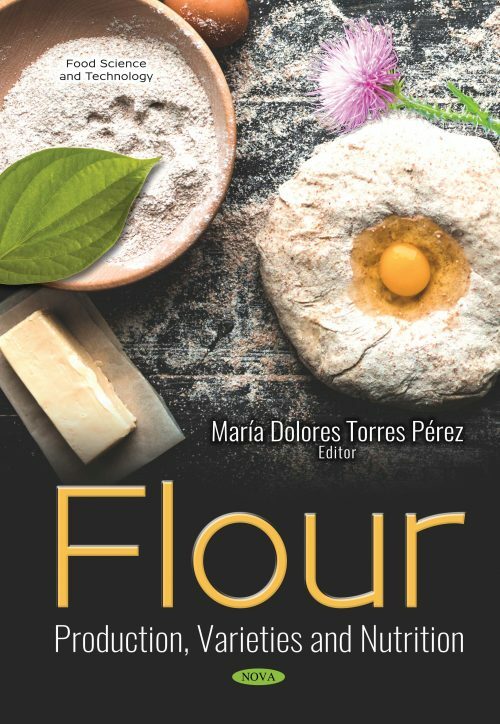 The prestigious authors of this book discuss traditional and alternative flours for different application fields, covering a broad range of gluten and novel gluten-free flours. The fifteen chapters include discussions on a wide range of topics such as gluten-containing flours versus alternative gluten-free flours; burdock (Arctium lappa, L) root flour production: technological, nutritional, and functional characterizations; the nutritional and functional properties of wheat; in vitro starch digestibility of snack bars formulated with green banana flour; Betel (Piper betle L.) leaves flour; characterization of banana (Musa acuminata × balbisiana ABB cv. AWAK) pseudo-stem flour; oyster mushroom flour and its composite steamed bun; composite flour as a promising new approach for improving nutritional values of food products and its challenges on product quality; Chinese steamed bread and novel wheat products; whole grain wheat flour: definitions, production, nutritional, technological and microbiological aspects for flour applications in bakery and pasta products; mesquite (Prosopis alba) flour;composition and use in breadmaking; nutritional composition and functional properties of nutsedge (Cyperus esculentus l.) varieties; nutritional value of cereal flours; and vegetable waste as raw material for flours. The book is intended to contribute the improvement understanding of the rheological characterization and performance in numerous application fields from the food to the non-food industries. Then, people related to the high starchy materials, especially flour or starch could be interested in the book. Those researches who work on the viscoelastic properties of the materials, from food to non-food applications (biomedicine, pharmaceutical, automotive, among others).